Syracuse is the economic heart of Central New York, and is home to Syracuse University. Its name derives from Syracuse, Sicily. Syracuse is on the old Erie Canal route, and a museum honoring the Canal is located in downtown Syracuse. Syracuse boasts an international airport and a major university (Syracuse) and other smaller colleges and learning centers, including Lemoyne College. 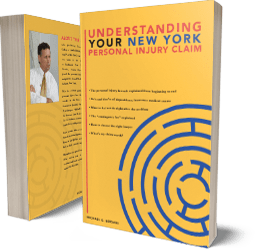 The Central and Syracuse, New York injury and malpractice lawyers of Michaels & Smolak have represented hundreds of Syracusans over the years. Many Syracuse general attorneys refer all their personal injury and medical malpractice cases to the Michaels & Smolak. Michaels & Smolak's lawyers appear frequently at the main Courthouse in Syracuse for personal injury and medical malpractice cases --- the Onondaga County Courthouse. The lawyers of Michaels & Smolak have tried hundreds of cases to successful conclusion in that Courthouse, as well as in Syracuse City Court. Of course, most cases settle before trial, but serious injury lawyers can't get top value for their clients' cases unless they are prepared to try each and every case. Michaels & Smolak's moniker - "A Better Game Plan" --- reflects the firm's practice of gathering all four lawyers together on a bi-weekly basis to discuss all new cases, as well as all cases being put into suit, and cases where sticky issues have developed. More than half the firm's case load involves representing injured clients from Syracuse and surrounding areas. The four lawyers at Michaels & Smolak, who have collectively more than 100 years experience handling personal injury and medical malpractice cases, work together as a team to give each client the benefit of their considerable collective experience and expertise. Michaels & Smolak has recovered hundreds of millions of dollars this way for its injured clients, including many Syracusans, over the years. Michaels & Smolak has an office in Syracuse as well as in Liverpool and in Auburn. Directions to our Syracuse office can be found here.